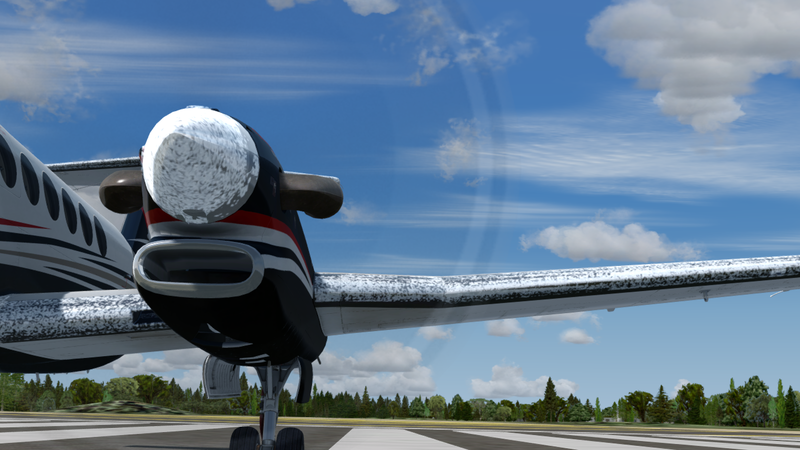 It’s been a busy week for Milviz, to say the least, with multiple previews of the ATR having been shown off, in addition to a sneak peak at their upcoming King Air 350i with PBR. Today, Milviz continued the streak of previews on their aircraft with a first look at the icing effects that are going into the product! Do keep in mind that these effects are still very much work-in-progress, but even at this stage they do look rather promising. One would hope that these effects would mean icing consequences are included in the aircraft, though we’ll have to wait and see if that is true or not. We’ll continue to keep you updated on all things Milviz. Milviz continues to show off more of their upcoming King Air 350i, this time choosing to preview the icing effects going into the product.